Design, quality, versatility, and value. As riders we understand the expectations of luggage. Luggage needs to safely deliver your essentials while not interfering with the rider during that journey. At OBR ADV Gear we put a focus on maintaining tight control over product quality and we work closely with our manufacturers allowing us to launch new product ideas into our market faster and more efficiently. 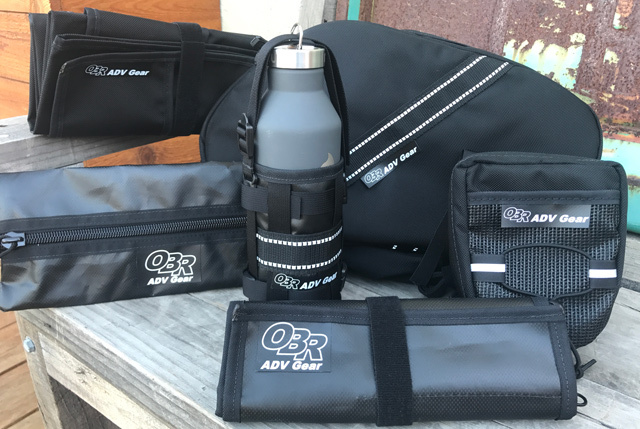 We are excited to be part of the growing Adventure/Enduro Touring market and we hope that OBR ADV Gear will be your choice of soft gear for your next adventure. Adventure ready products that are designed by riders for riders!